Emerson Oronte knows how to make an impression. On his first day of racing with Team SmartStop he drove a breakaway for nearly five hours in the rain on Stage 1 at the Larry H. Miller Tour of Utah. This week he’s been at it again. The 25-year-old featured in the breakaway on a circuit through hilly ranch country just outside of Steamboat Springs, Colorado on the opening day of the USA Pro Challenge. Just before the Pro Challenge start Oronte responded to a Q & A for ProVéloPassion via email. It reveals how a combination of hard work, self-belief, and keeping promises opened doors in professional cycling and has helped him weather the ups and downs of the sport. Originally from Cohasset, Massachusetts and a resident of Boulder since 2008 when he entered the University of Colorado, he is one of ten riders in the Colorado event that live in the state. Oronte competed collegiately for the Buffs in 2010. That year he also raced for an east coast squad, Team Ora p/b Independent Fabric. He turned professional in 2011 with Jelly Belly and lined up in that team’s kit through 2013 while he finished his degree at the Leeds School of Business in December 2012. When the alliance with Jelly Belly concluded he joined a high-performing elite amateur team based out of Boulder. As a member of that Horizon Organic p/b Einstein Bros. Bagels outfit he put his nose in the wind for teammates, tasted victory against uber-strong Denver-Boulder fields, and competed in National Racing Calendar events. 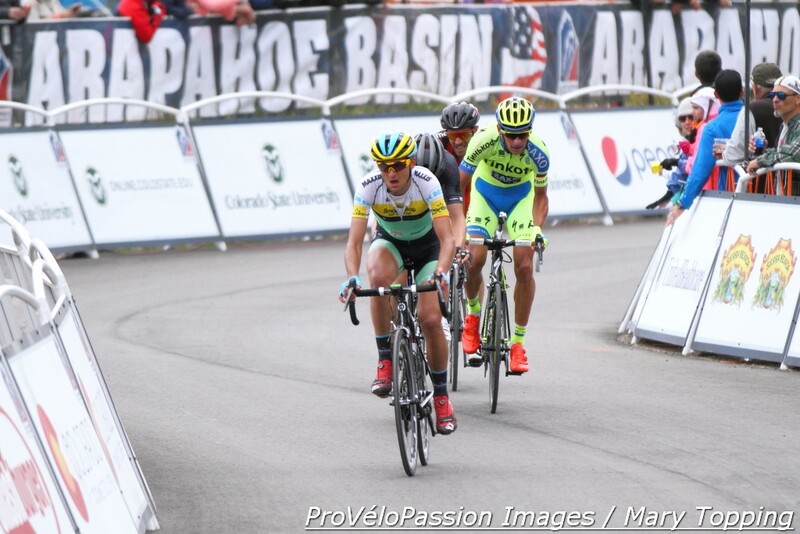 In July 2014 he became the U.S. cat 1 road race champion. Optum Pro Cycling p/b Kelly Benefit Strategies picked him up for the end of the year. Next in a progression of kits, American elite team Alto Velo-SeaSucker added him to their 2015 roster. In March Oronte won the pro/cat 1 uphill time trial out of a field of 155 at the San Dimas Stage Race; he held the leader’s jersey through the end of the four-day staple in early season American road racing. 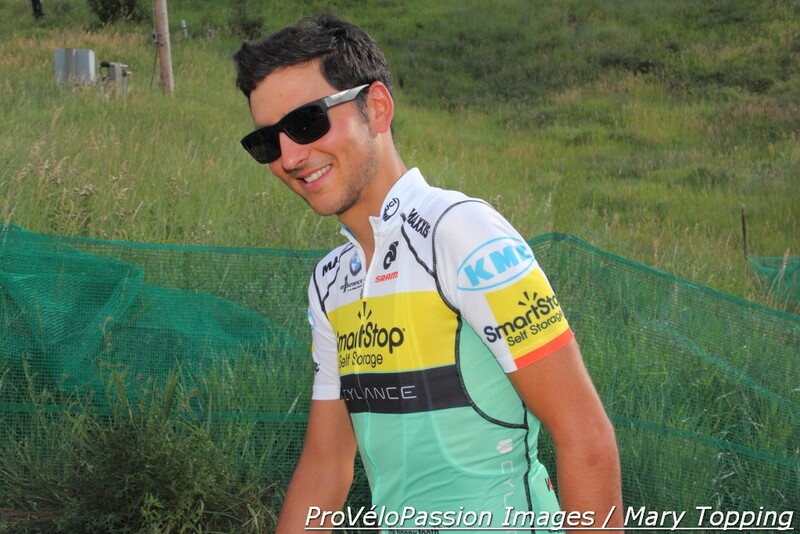 Team SmartStop, a UCI continental squad, needed to fill a spot and hired Oronte in May. His first day of racing in Team SmartStop colors was at the U.S. road championships. 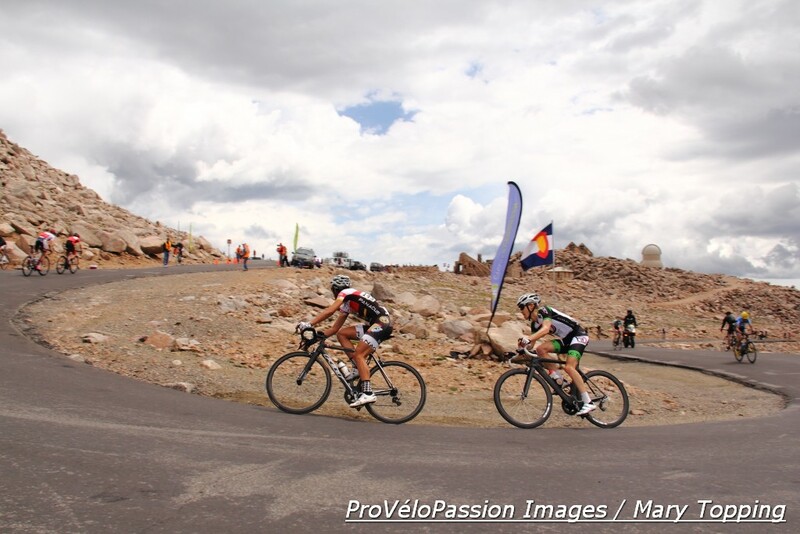 In July he finished second in the high altitude Bob Cook Memorial Mt. Evans Hill Climb before moving on to the Tour of Utah. He’ll ride with SmartStop through the end of the year. ProVéloPassion: When did you decide you wanted to be a professional bike racer and why? Emerson Oronte: It’s weird to say but there are several answers to this question. The first time I really thought about being a professional was as a junior. Like most kids, I watched the Tour de France and fantasized about racing up Mont Ventoux or any of the other dozen iconic mountains they race in Europe. Mainly though, this was just fantasy—similar to picturing yourself in the Superbowl or at bat in the World Series—and I didn’t think much of it beyond that. By the time I was eighteen (at which point taking cycling VERY seriously) I had somehow convinced myself that I didn’t have what it took to go pro despite being very successful at national level events and having been invited to the USOTC as part of a selection camp for the national team. Instead, I focused my energies on going to school and in my freshman year at CU Boulder I burned out pretty hard and nearly walked away from the bike. The second time I really wanted to be a professional came after the 2009 U23 National Championships in Bend, Oregon. Despite not training much my freshman year of college, I had already committed to riding for a local team back in Massachusetts and since I would have felt guilty quitting, I stuck with it. As it turned out, the team was a great group of guys and we traveled around and raced all summer and had a blast. Our season was capped off with a cross-country driving trip to Bend where we competed in the Cascade Classic and Nationals. Through what I can only assume to be divine intervention or something similar, I managed to get 9th in the nationals road race—I was pretty much the first non-Livestrong or Chipotle rider in the top-10 and the best placed first year U23. The result blew my mind and for the first time in my life I actually believed “Oh man, you can do this!” The next season Jelly Belly signed me. Most recently, the desire to become a professional came in the autumn of 2013. At this point, I knew Jelly Belly wasn’t going to resign me for a fourth year and I was at a crossroads. The previous December I had graduated from CU and had a degree, which I could leverage to get a full-time job—thereby ending my cycling ambitions. I don’t think anybody would have faulted me for joining the “real world”—after all, I had experienced quite a bit in my racing career to that point and turning over a new leaf would have been totally understandable. Still, part of me really wanted to keep going because I knew I had more to offer and—as cliché as it sounds—I knew I had the talent to be successful. So, I gave it another shot and raced as an amateur for a season and a half and, as you can reasonably guess, it worked out. Q: If we look back to 2014, assuming the team list above is right, you’ve raced in four different kits. That is a lot of change, and seems to show how hard it is to be a bike racer. What have the transitions from UCI Continental team to elite amateur team and back to continental team been like? EO: The hardest part of the transition was probably the mental aspect of taking that step back to elite amateur. I see with a lot of very good amateurs this acceptance of the idea that professionals are just better—and for fairly superficial reasons. They’ll say things like “oh, so-and-so gets a massage after every stage. I can’t compete with that,” or “they flew to the race and we drove, they are so much better off now.” Honestly, it’s kind of an easy mindset to adopt—especially when you’re roughing it in a car for twelve hours to the next race. Having been at that upper level before though, I knew that “pros” are just normal people who worked harder than the average amateur. Sure, their team setup has higher production value but when strip away those things you realize what really determines the outcome of the race is who worked harder leading up to it and who wants it more. Reminding myself of that was something I had to do quite frequently—especially on those days when you weren’t motivated or disheartened by whatever—but it definitely paid off. Q: Let’s revisit San Dimas. Yellow all the way through. Wow. What has changed for you as a rider and person with that win (aside from moving to SmartStop)? EO: I’m much more confident now. That win was definitely validation of all the hard work I put in this winter and it was a big sigh of relief to say “OK, you’re on the right path, just keep doing what you’re doing.” Prior to San Dimas, I just didn’t know where I stood and whether my training was working. That victory put those doubts to bed and I’ve carried that confidence throughout the whole of this season. Q: At the end of Utah you tweeted, “Mixed emotions about the week. Pumped to be part of a great race for @TeamSmartStop but bummed by my own performances. On to the next one…” How much did that effort on day 1 cost and what did it give you? EO: That first day definitely put me in a hole for the rest of the week and it was quite the humbling experience. In short, I did way too much work in the group and it cost me. That said, it was a good lesson in not only how to ride a break for that long but also how to recover from an effort like that. If I could hit rewind there are so many things I would do differently—especially nutritionally. That said, Utah was a huge success for SmartStop and to play a supporting role in that is something I take a lot of pride in. Still, you always want to do more and I tend to be very critical of my performances—hence, that tweet. Q: What is the atmosphere like at Team SmartStop? It looks like everyone knows how to work hard and still have a lot of fun. EO: Team culture is something I personally think is very important but gets overlooked all too often. To Mike’s credit, he’s put together a group of guys that not only get along really well but who also are incredibly ambitious and want to prove something. There hasn’t been a race this season where it seems like guys are just going through the motions. Everyday, the people on this team—especially the staff—show up and do their job at 110%. It’s really great to be a part of something like that. Q: This is your first time racing the USA Pro Challenge, yes? It must have been hard to sit it out the last four years (or maybe it wasn’t?). What does it mean to you to be in the race? EO: Yes, this will be my first shot at the USA Pro Challenge. It’s funny, that last four years I definitely had a chip on my shoulder whenever this race was going on—whether it be because I wasn’t selected to race or I just couldn’t. Usually, I would avoid all coverage of the race (which was hard) and I refused to watch the highlights on TV. In 2012 when a stage came through Boulder I remember just leaving town and riding as long and as far away as I could only to return was I was sure the race as over. It sounds really silly now but at the time it frustrated me that my peers were racing and I wasn’t. Q: What kind of ride would you like to have at the Colorado race? EO: As with all the races this season, my goal is to get as many Strava KOMs as possible. Everything else is supplementary. Just kidding…Mike has yet to lay out his grand plan for the team this week but my objectives include playing an active part in accomplishing those goals. Perhaps I’ll be given some free reign to go in breaks—if so, I’d love to take one to the line and see if I can get a result. Q: You know a lot of the women who will race in the 3-day event overlapping the men’s race. What are your thoughts about this inaugural event and how important it is to them? EO: It’s great to see a women’s race alongside the men’s event here at the USA Pro Challenge and I know a lot of the racers are excited to be a part of it. Personally, I see women’s racing as the largest avenue for growth for cycling as a whole and the more people see these races the more I think they will come to realize that it’s as exciting as the men’s events. With any luck that will help accelerate its growth. In the years to come I hope that these events will cover just as many days as the men’s race does. « Colorado Women’s Cycling Project p/b Spark. Hard-working amateurs meet the big time.